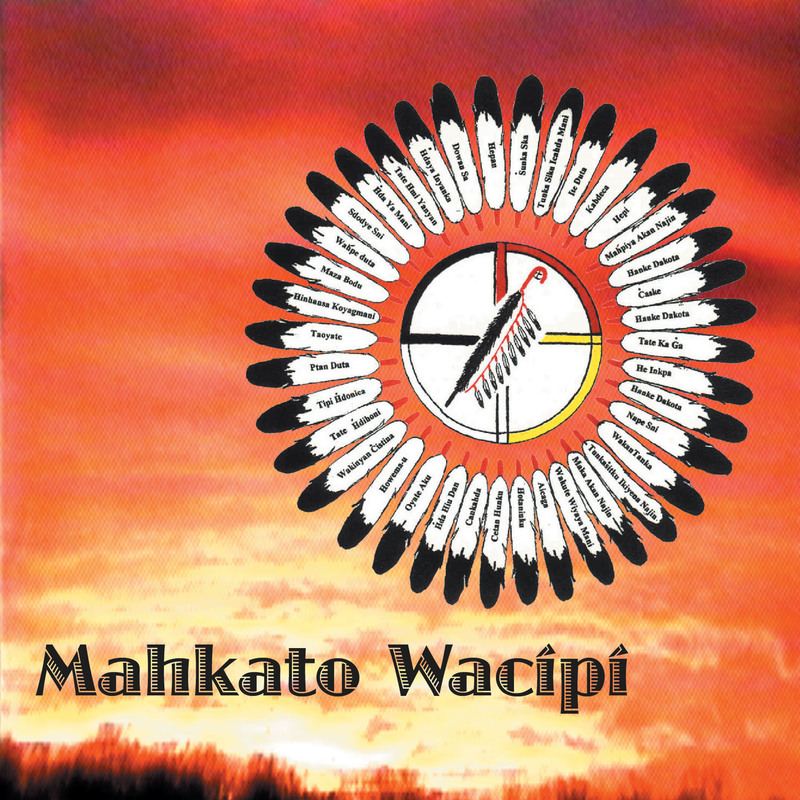 This two-disc set brings together traditional songs, dances, and stories from the native peoples of southern Minnesota in the form of a two-day Wacipi (or Pow-wow). The event, recorded here for the first time, commemorates one of the most egregious atrocities dealt to the Dakotah, Lakotah and Winnebago peoples by the United States: the U.S. Dakotah Conflict of 1862 and the subsequent hanging of 38 people. This field recording is an educational document of state and national importance. It features respected tribal elders recounting the history, and performances by some of the best drum circles in the Mankato (traditionally 'Mahkato') region. A Wacipi is translated to Americans as a Pow-wow, a celebration and ceremony to bring together relatives and friends from great distances. Mahkato is the original name of the land where the three rivers meet in southern Minnesota. Today not only do the three rivers meet in this land but also peoples from all races and religions throughout our great world. We meet to put aside feelings of hatred and the desire to kill those who are not like us. We come together to shake each other's hands and offer friendship. We come together to heal the wounds inflicted so many years ago. This CD comes out of that feeling of forgiveness and reconciliation that was taught to us by Dakotah spiritual leader Amos Owen. Listen to it and remember the hardships of our ancestors as they forged this great land we call America. If we forgive those who have wronged us we can break this cycle of hatred, only then will our people be able to live in peace. Today all nations look back at those earlier days and realize the great mistakes and injustices that were done. We look back and try to learn from our mistakes. We can not change the past, but we can shape the future. This is the spirit of the Mahkato Wacipi. One hundred and fifty years ago settlers came to the lands of southern Minnesota to escape war, famine, hardship along with ethnic and religious persecution. When they arrived here they came into contact with the Great Sioux nation. Filled with the ideals of manifest destiny most of the newly arrived settlers saw the Sioux as non-humans, as a plague to their new land. Taking the lessons of hatred and genocide, which is why many left Europe in the first place, the newly arrive settlers began a campaign to take the land from the Native Americans. In 1862 the Dakotah, Lakotah and Winnebago peoples of southern Minnesota experience this hatred first hand. These nations had previously signed away much of their land to the U.S. Government in return for the promise of food, blankets and gold to be delivered each year. In the summer of 1862 these payments did not arrive. The Native Americans asked local merchants if they could buy food on credit until the payments arrived from Washington. Instead of Christian understanding and a helping hand from their neighbors; they were told "Let them eat grass." Hatred and the feelings of superiority by the settlers brought about this the first of the Great Sioux Wars.